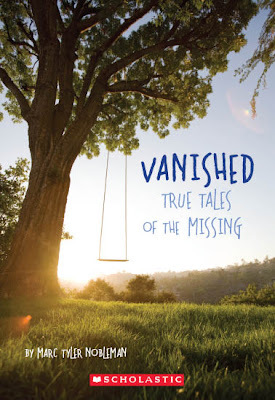 I wrote a book called Vanished: True Stories of the Missing that is due out in January from Scholastic. It consists of seven (non-illustrated, 3,000-word) true stories about people who disappeared under a diverse range of circumstances. Half (well, four) of them were never heard from again. The rest resurfaced between a day and more than 30 years after they went missing. Some were swallowed up by the wilderness, others dropped off the radar in urban environments. The youngest was five. The oldest was in his late fifties. All the disappearances happened within the last 100 years—the earliest in 1925, latest in 2007. Some of these people are still alive. Of those, I had several burning questions about one, so I tried to contact that person. Let's call this person A. The person who responded on behalf of A (let's call that person B) was more than kind and helpful. I've written professionally about real people since 2001 but had never encountered this issue before. By the time I wrote about them, most were no longer with us in body, with one exception: Rosa Parks. However, enough books have been written about her that she probably no longer paid attention to any new ones coming out (or at least mine!). B said that if my book profiled four people (B knew that it was a collection but did not know how many stories exactly), then each of them could get 5% of the profits, leaving me 80%. B wanted A to also benefit if Hollywood came hollering. B did not want me to take advantage of A. I fully understand that. I have written a book about Bill Finger, for heaven's sake. I emphasized to B that A's inspirational story would have a powerful effect on young people, hoping that would discourage B from demanding (morally or legally) that I remove A's story from the book. I also told B that my book does not preclude anyone else from writing on A. In fact, I encouraged B to seek out an official biographer for A, if that was of interest. I think A's story could make a lovely picture book. I just don't feel I'm the guy for it. When one does great things, as A has, others will naturally want to write about it. I'm grateful that we live in a society that allows this to happen without impediment. My last response to B was more than two months ago and I haven't heard back. I think A and B now see. Good concise recap. I've run into a similar scenario twice. It's complicated, and unfortunate. Ideally, people worth celebrating would want to be celebrated, and would consider the expanded celebration a thing more gratifying/rewarding than monetary payment. Meanwhile, I didn't know you had a blog! Now I don't have to wonder, "What will I do for the half-hour before sleep" for another few weeks. I hope you are well, and that we actually have the opportunity to meet sometime. Let me know if you want to take your kids to Sesame Place this summer... we live 8 minutes away. It sounds like a frustrating exchange, but the book sounds fantastic! Can't wait. Thanks, Matt and Janee. Matt, I understand why someone who doesn't know how publishing typically works would ask for payment. I understand how a public figure could feel that someone else should not make money from telling his (the public figure's) story while the public figure makes nothing. Yet that is freedom of the press. If money had to be exchanged for all of this kind of material, very little of it would ever be published. Good that you reamined clear-headed as it seems an easy situation to have flown off the handle one way or another.